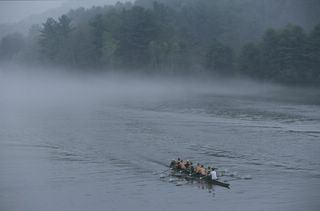 Morning row with the Dartmouth Lightweight crew team. 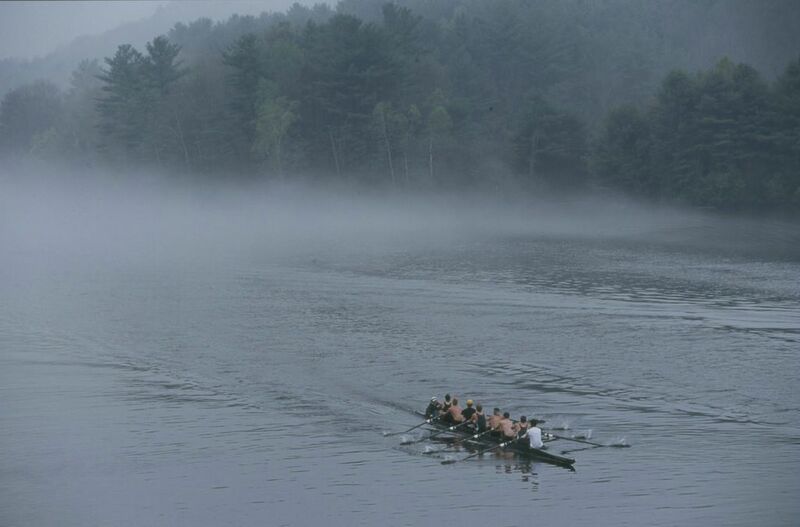 That's me in 3 seat looking uncharacteristically synchronized with the rest of the boat. Picture is also Miss August 2005 on the Dartmouth College Fund calendar.